EV SSL 123 » How does VeriSign EV Upgrader™ enable all IE7 browsers to recognize EV? How does VeriSign EV Upgrader™ enable all IE7 browsers to recognize EV? 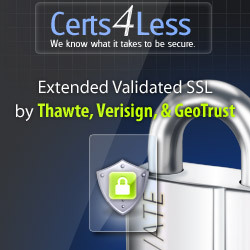 VeriSign EV Upgrader technology is built directly into the VeriSign Secured® Seal. The first time an IE7 client on Windows XP visits a Web site with a VeriSign seal and EV Upgrader the client browser will contact a Microsoft root store service and seamlessly install the VeriSign EV root. Once the EV root is stored, it will verify VeriSign EV SSL Certificates on any Web site and display green bar and organization name appropriately. The update happens in the background and without prompting from the user.